For people just beginning their careers, it will be something to aspire to. For those who have ascended to the top ranks of their profession, it will be a sign they’ve made it. 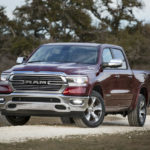 For all professionals, no matter the industry or success level, it will serve as further proof that Ram Trucks is a force to be reckoned with. It’s the 2018 Ram Limited Tungsten Edition, and it’s the most luxurious Ram truck ever. 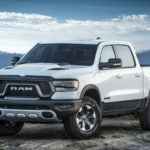 According to Mike Manley, Head of Ram Brand, FCA – Global, the Limited Tungsten Edition is the highest trim level Ram has made available and an example of how the Ram Trucks Brand directly responds to customer input. “Premium truck buyers will recognize the attention to detail, surrounded by quality materials,” he said. Available in the third quarter of 2017, the Ram Limited Tungsten trim will be offered on the Ram 1500, Ram 2500 and Ram 3500 single- and dual-rear-wheel models. 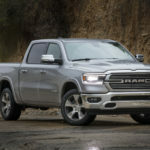 Building on the popular Limited trim level, the luxury truck will feature ultra-premium “Natura Plus” Frost and Indigo-colored premium leather trim throughout the cabin, including the seats, instrument panel, steering wheel, center armrest and doors. Tungsten models will also feature Indigo-colored carpet with rubber floor mats and snap-out Frost and Indigo carpeted inserts. Real wood components and unique badges will complete the first-tier trim’s interior. Exterior highlights include a Tungsten Chrome grille with large R-A-M lettering, a design modeled after the Limited. The Tungsten Edition adds a sport hood (1500 only) to the body-color matched bumpers, mirrors, door handles and running boards. Headlamps feature a black surround borrowed from the Sport model, clearly distinguishing the new model. Across the back, body-color “R-A-M” letters cover the tailgate. Tungsten Chrome accents and badging with unique Satin-painted Limited wheels complete the highest-level trim available from Ram. 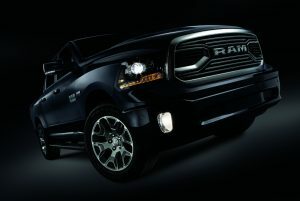 The Ram Limited Tungsten Edition is also equipped with the Active-Level™ Four-Corner Air Suspension (1500), navigational radio, remote start1, ParkView® rear back-up camera2, power adjustable pedals with memory, heated steering wheel, front ventilated and heated seats, heated rear seats and the RamBox® Cargo Management System (Heavy Duty, 6-foot-4-inch bed only). The standard 8.4-inch Uconnect® radio includes Apple CarPlay®3, Android Auto™4 and SiriusXM Guardian™5. 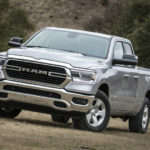 Stay tuned to the FCA Work Vehicles blog for more news on the reliable, capable and, of course, luxurious vehicles of the Chrysler, Dodge, Jeep®, Ram and FIAT® Brands. 1Check state and local laws regarding use of remote start systems. 2Always check entire surroundings visually before backing up. 4Requires compatible smartphone running Android™ 5.0 Lollipop or higher and download app on Google Play. Android, Android Auto and Google Play are trademarks of Google Inc.